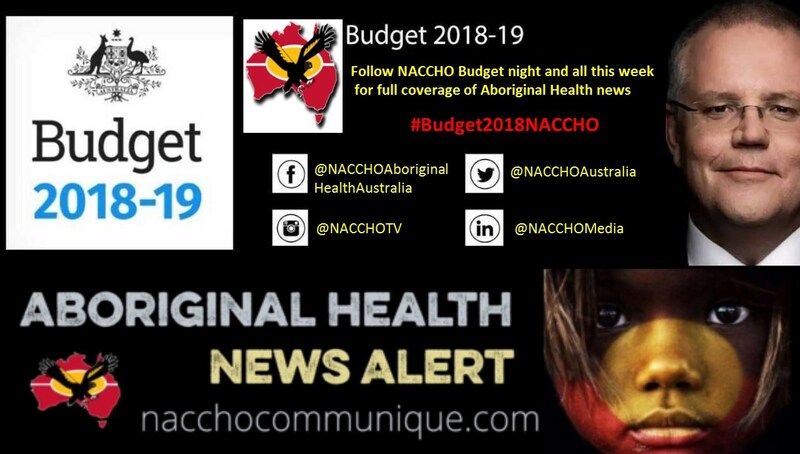 ← NACCHO Guide to Aboriginal Health and the #Budget2018NACCHO : What @NACCHOAustralia @AMAPresident @RACP @CroakeyNews and 21 peak health groups would like to see in tonight’s #Healthbudget18 ? 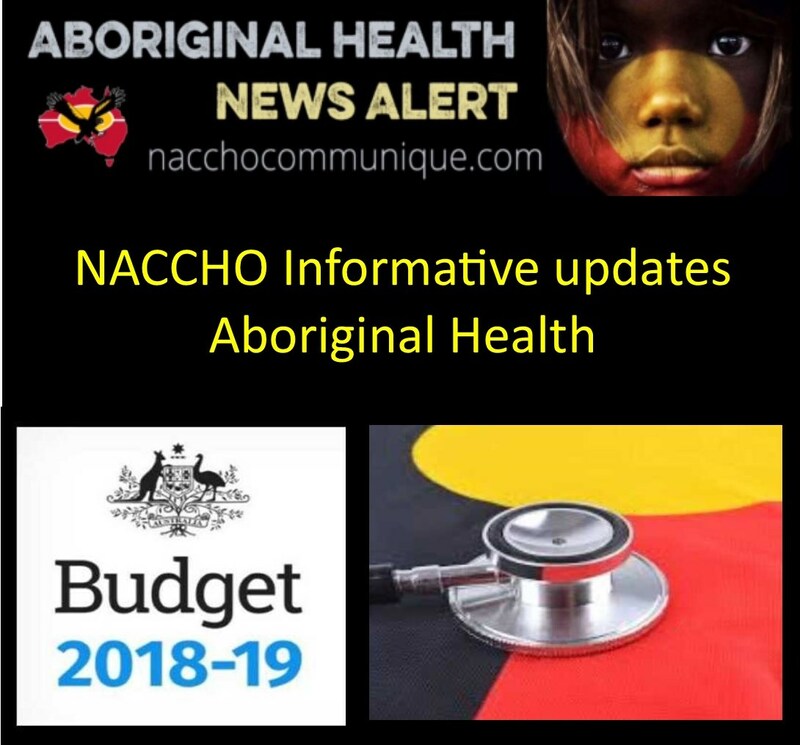 NACCHO Aboriginal Health #HealthBudget18 : Will the #Budget2018NACCHO Improve health outcomes for Indigenous Australians ? ” Funding for a key Aboriginal health program will climb $200 million to nearly $4 billion as the Turnbull government negotiates with the states over other investments. The government will implement a new primary care funding model for the Indigenous Australians’ Health Program to provide greater transparency of funding and improve health outcomes. This new transparency initiative would be based on patient numbers, episodes of care and the remote nature of the treatment and be designed to ensure resources are directed to the right areas, minimising waste. ” National Congress welcomes the renewal of funding for our health organisations and programs. In particular, we appreciate the recognition of the crucial role which the Aboriginal and Torres Strait Islander workforce plays in delivering positive health outcomes for our peoples. However, we note that the provision of culturally safe and appropriate healthcare must also be integrated into the mainstream health system. Existing eye health initiatives will be bolstered by $34m to provide further health checks and address the issue of vision loss. The government has pledged more than $33m to bolster the Aboriginal and Torres Strait Islander workforce. Indigenous Affairs Minister Nigel Scullion also earmarked $550m over five years for remote housing in the Northern Territory, with matched funding from the territory government. “Local Aboriginal decision-making, local Aboriginal employment and local Aboriginal procurement are at the heart of our investment,” he said. Senator Scullion said the government was in negotiations with the Queensland, South Australian and West Australian governments about future funding. The budget would support 6000 jobs in remote areas, with so-called tailored support to indigenous jobseekers. The overhaul of the Community Development Program would start from early next year, cutting income reporting demands to Centrelink. 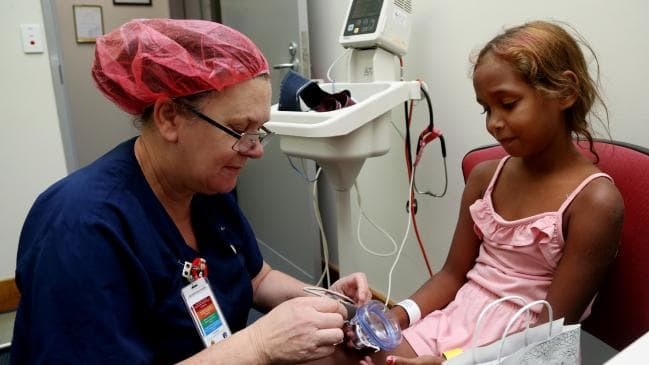 Funding for the Indigenous Australians’ Health Programme (IHAP) will increase by $200 million to total $3.9 billion over four years from 2018-19. As part of the Closing the Gap agenda, the Government will implement a new primary care funding model for IHAP to improve outcomes for Aboriginal and Torres Strait Islander peoples. Greater transparency of funding based on patient numbers, episodes of care and remoteness will assist in ensuring resources are directed to areas of need. The program will be introduced in consultation with the community and overall funding is retained, while increased opportunities will exist for additional funding under Medicare. The Government will target specific health conditions that disproportionately affect Aboriginal and Torres Strait Islander peoples, including a focus on avoiding hearing loss and vision impairment. The Government will allocate approximately $30 million to expand hearing assessments. Aboriginal and Torres Strait Islander children have high rates of otitis media and subsequent hearing loss. Poor vision is a barrier to education and employment, and impacts mobility, independence and social interaction. The Government will boost existing eye health initiatives, investing $34.3 million to provide eye health checks and target the major causes of vision loss in Aboriginal and Torres Strait Islander communities. The detection, treatment and management of crusted scabies in remote Aboriginal and Torres Strait Islander communities in Northern Australia will also be improved through an investment of $4.8 million. The measure will help eliminate the highly infectious condition, which can lead to acute rheumatic fever, rheumatic heart disease and renal disease. This initiative builds on a successful pilot in East Arnhem, which achieved a 44 per cent reduction in recurring crusted scabies over four years. Funding for Aboriginal and Torres Strait Islander Health Professional Organisations will also be boosted, with funding of $33.4 million over four years to enable further increases to the Aboriginal and Torres Strait Islander health workforce. This will assist with meeting increased demand for services and will also help non-Indigenous Australians develop cultural understanding and capability. The Government will also expand the National Aboriginal and Torres Strait Islander Flexible Aged Care (NATSIFAC) program to improve access to culturally safe aged care services in remote Indigenous communities. From 2018-19 to 2021-22, the Government will provide $105 million to better support older Aboriginal and Torres Strait Islander people. The Government’s priority for First Australians focuses primarily on economic prosperity. While many would welcome this outcome, the Government’s roadmap to accomplishing this prosperity is fanciful, incoherent and sorely lacking in the detail necessary for success. Although the Government has listened to a few of our concerns regarding the Community Development Program, major issues largely remain unresolved in this budget. The harsh and discriminatory penalty system is largely intact. In fact, penalties have worryingly been strengthened in cases involving participants who need the greatest amount of support. For this reason alone we renew our call for the CDP to be replaced with a wage-based program which provides meaningful employment and training for our peoples. We are deeply concerned by the Government’s proposal to withhold income support payments from individuals who default on fines. This is a recipe for ensuring that the poorest and most vulnerable members of our society will remain so, with unpaid fines likely leading to increased rates of incarceration rather than pathways to prosperity. Our peoples cannot achieve economic prosperity if we cannot meet our basic needs. In claiming that it will provide $550 million in new funding for remote housing in the Northern Territory, the Government has attempted to hide its abandonment of a national housing strategy. The National Partnership Agreements on Remote Indigenous Housing have expired. Prospects of renewal are slim, particularly if negotiations with state and territory governments are unsuccessful. If Aboriginal and Torres Strait Islander peoples are forced to live in insecure, overcrowded and unsafe homes, or are homeless, the barriers to economic empowerment are overwhelming. The Federal Budget fails to address the shameful over-incarceration of Aboriginal and Torres Strait Islander peoples. We make up 3% of Australia’s population, but 27% of its prisoners. If anything, the Government’s callous disregard for our basic human rights to equality and quality health, education, housing and employment opportunities makes this problem worse. These factors are also responsible for child removal rates being ten times greater than for non-Indigenous Australians, which threatens to create a new Stolen Generation and perpetuates intergenerational trauma. Aboriginal and Torres Strait Islander legal services have highlighted gross inadequacies in government funding for civil cases. As Centrelink breaches, inability to repay fines and housing tenancy disputes become more commonplace due to Budget measures, the demand for legal services will only increase and these inadequacies are likely to become more severe. Attempts to Close the Gap appear to have stalled, with Minister Scullion making no reference to the program in his media release. No new funding has been allocated to the strategy, despite a dire need for further community consultation and national co-operation between governments and our organisations. The Government’s failure to Close the Gap must not be used as an excuse to abandon the targets altogether, lower expectations and wide the life expectancy gaps or shift responsibilities to state and territory governments. We note in this budget that $50 million has been allocated for the memorialisation of the 250th Anniversary of Captain Cook’s voyage to Australia. Whilst gaining pockets of local support, this appears a controversial investment in the Treasurer’s own electorate. Our preference would be to redirect these funds into community based Closing the Gap initiatives to address the negative impacts of the European invasion of Australia. National Congress welcomes the renewal of funding for our health organisations and programs. 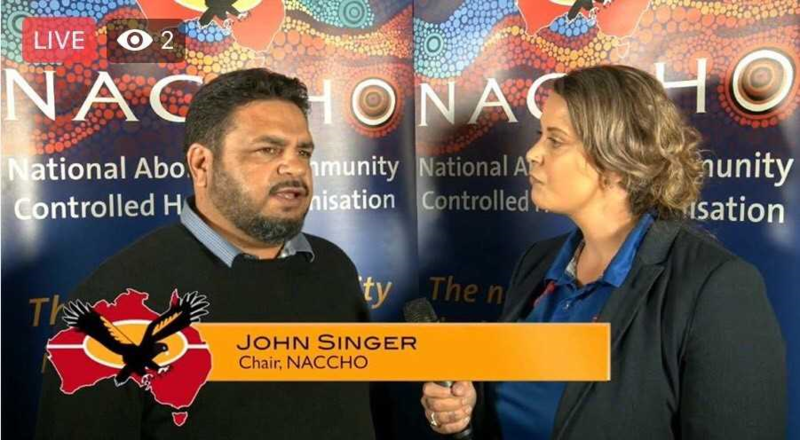 In particular, we appreciate the recognition of the crucial role which the Aboriginal and Torres Strait Islander workforce plays in delivering positive health outcomes for our peoples. We also acknowledge the Government’s commitment to provide new funding to aged care, but unless the large gap in life expectancy is resolved, many of our peoples may not enjoy the longevity to benefit from these services. We reiterate our call for the Government to work collaboratively with us. The need for an independent and well funded national representative body to inform Governments is greater now than ever. Our organisations are in the best position to provide culturally safe and appropriate services to our peoples. However, we cannot achieve this without adequate resources and support. On reflection this budget leaves so many of us uncertain of the true value of our extensive consultations with Government over the past year. So little of what we have said, like so little of what we have recommended, has been taken up by this Government in this underwhelming budget. Our political leaders have seemingly exhibited an attention deficit; one proportional to the surplus evident in their own self-interest.